The Buick is known for its classic style and beauty. Our experience with this high end yet affordable vehicle always puts our customers’ minds at ease. When technicians are working on your vehicle, you want specialists who know your vehicle inside and out. Customers generally don’t have the time and money to waste on mechanics who are just feeling their way through your repairs. 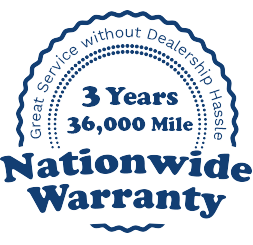 Our experts are adding value to your Buick with each service provided. We have plans for your Buick’s maintenance that improve its overall performance, and keep it out of our repair garages. We believe preventative maintenance is the easiest and least expensive way to keep Buick drivers riding in style. We’re here to provide any of your vital maintenance needs. Oil change intervals need to be designed around your specific vehicle, and you. So bring your Buick to Coopers Auto Repair Specialists so we can get to know you both. Quality automotive services require technicians that really know the vehicles they are working on. Any of your other Buick’s basic maintenance needs–lube service, wheel alignment, battery/alternator testing, tune-ups, and much, much more–should come here first. A majority of our superior auto services will keep your Buick out of the repair shop altogether. The need for repairs will occasionally be necessary, even with the most diligent maintenance. In the off chance that your well-maintained Buick has repair needs, you’ll be glad you already know the best Buick repair specialist in the Tacoma area. Just bring your vehicle to us and we can honestly “take care of the rest.” We are an excellent alternative to the dealerships, and when you have any issues with your engine. Our careful and thorough diagnosis will let you know whether you’re looking at an engine repair, rebuild, or replacement for your Buick. Either way, our ASE certified techs can handle your repairs once you decide what you’d like us to do. Even if your transmission starts to act weird, we can quickly diagnose the problem and recommend the best course of action. Coopers Auto Repair Specialists can repair your transmission, replace your clutch, or overhaul your entire transmission. Give us a call today at (253)466-3917 if your Buick needs service. Or contact us online to schedule an appointment to discuss your repairs or maintenance needs.